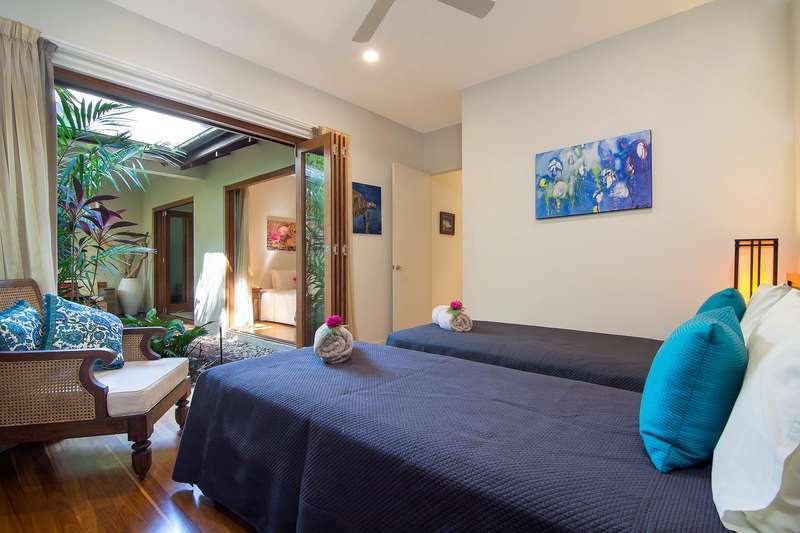 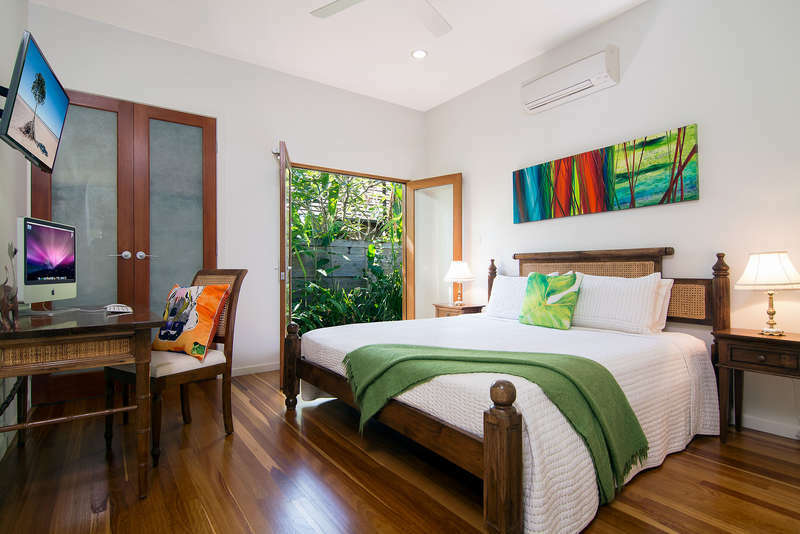 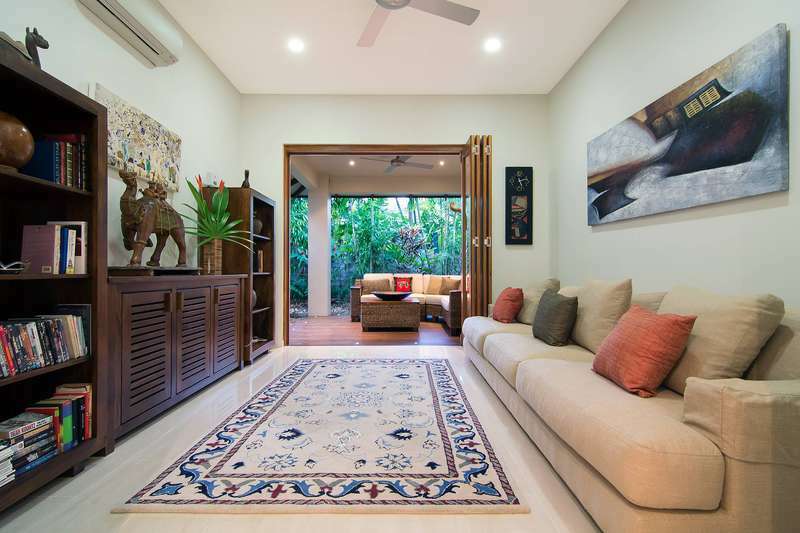 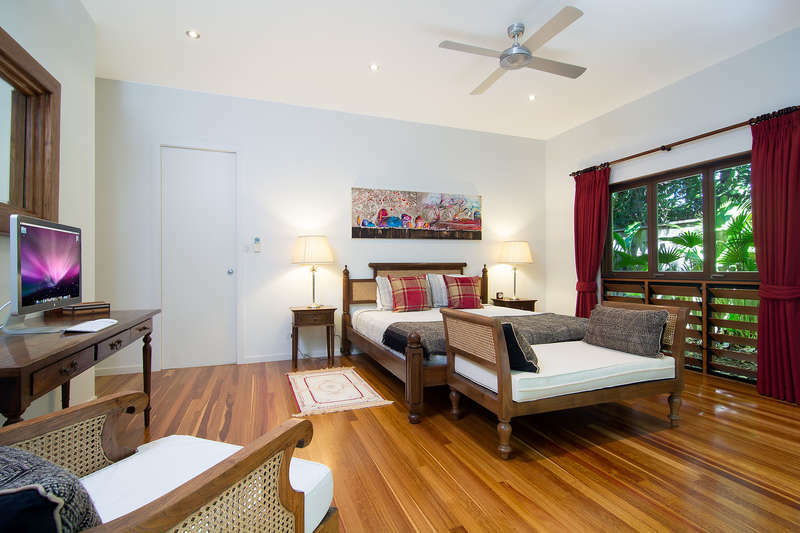 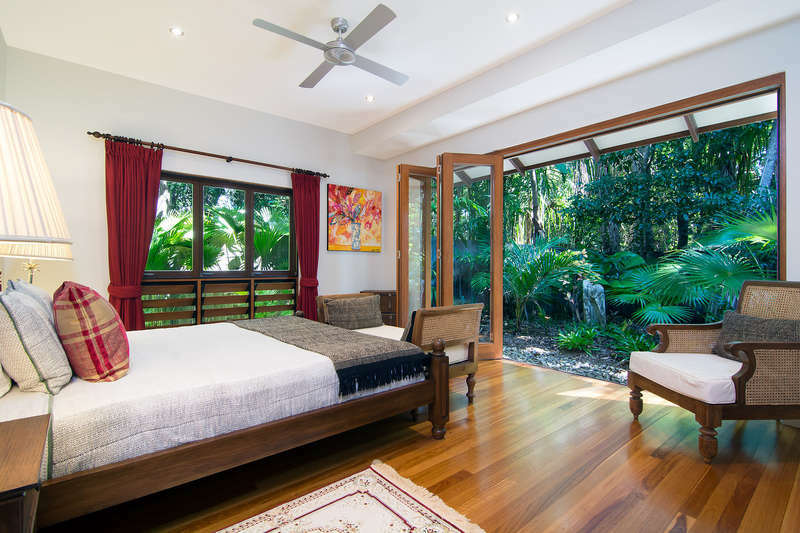 Enter through the front doors at the portico, past the lush tropical gardens to a welcoming waterfall and fish sanctuary to your own private resort in Port Douglas Queensland on the doorsteps of the Great Barrier Reef. Over the 1st small bridge and veiled, behind the entrance you will find a sprawling retreat, luxurious tropical living indoor - outdoor lifestyle to perfection, just moments from the golden sands of Four Mile Beach. 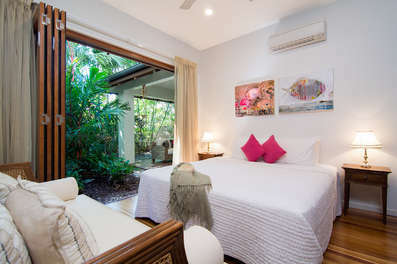 Accommodating up to 10 guests accommodated in four spacious bedrooms and a bunk room, Innokenti is ideal for family reunions, groups of friends or even golfing holidays with the choice of the Mirage or Sea Temple Golf Course just 5 minutes away. 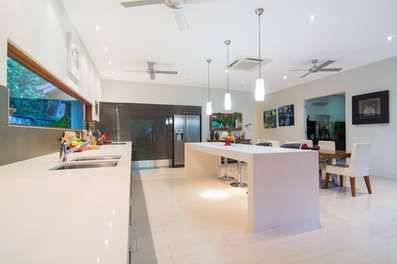 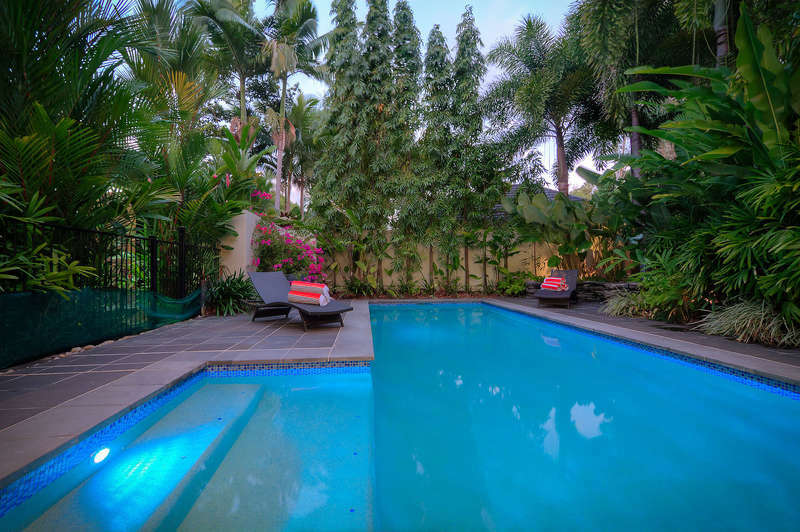 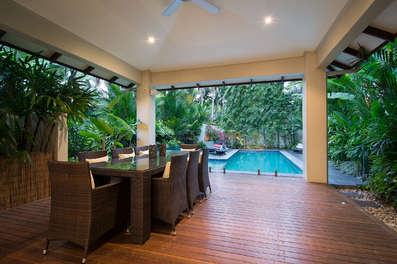 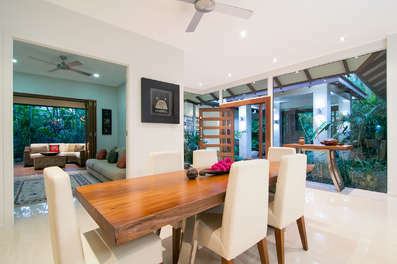 This home away from home features all of the mod cons essential for your holiday in tropical paradise including a sensationally equipped kitchen with JURA coffee machine, dual dishwashers, built fridges plus NBN wi fi internet, a media room connected to in house movie library, and DVD. 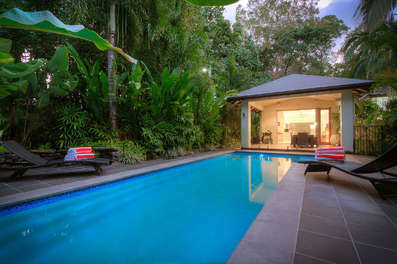 The sparkling blue heated swimming pool in winter and cooled over summer accessed from the outdoor dining area to the luxurious lounge and kitchen. 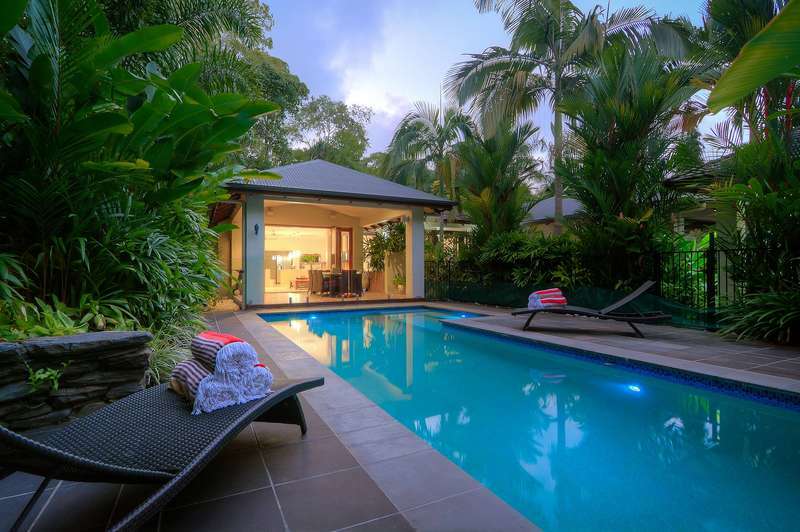 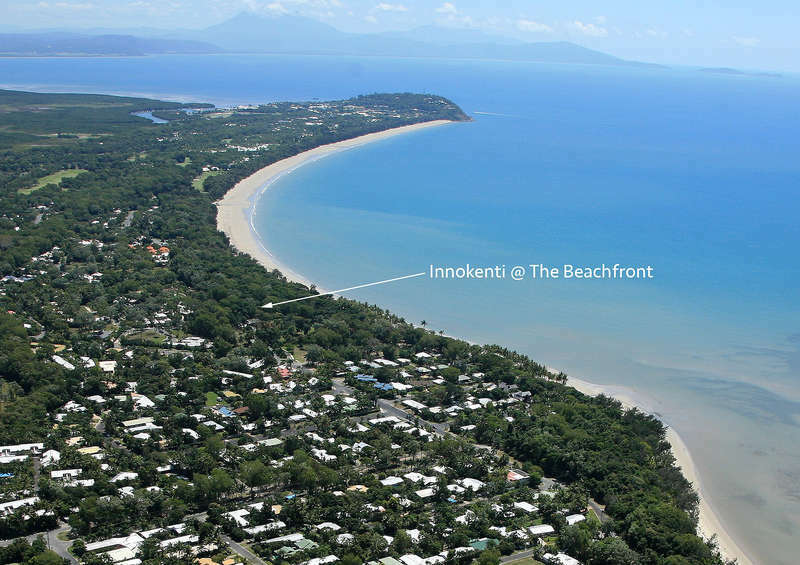 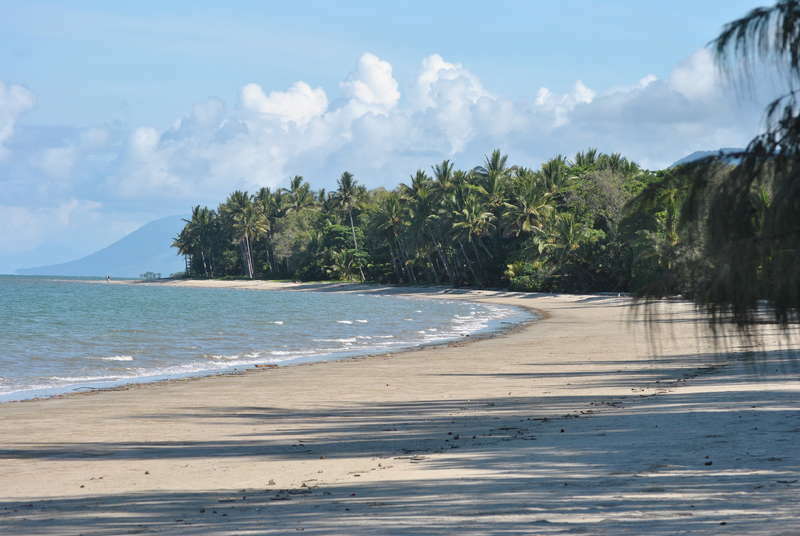 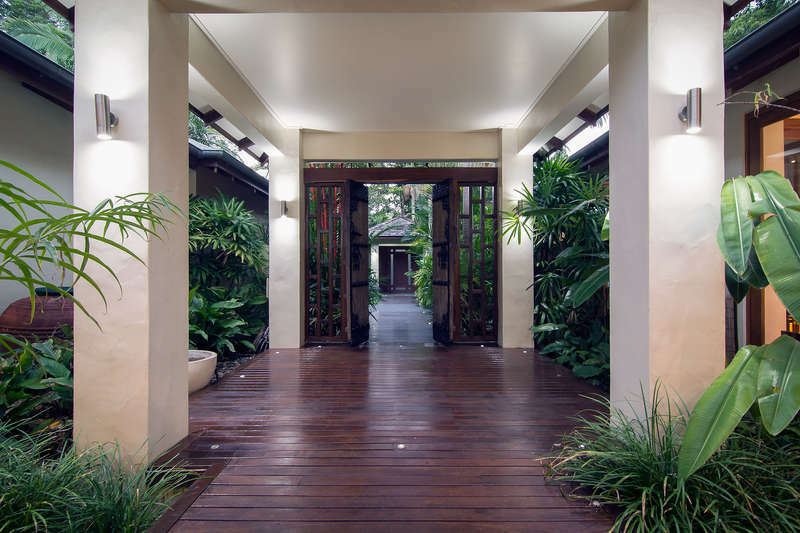 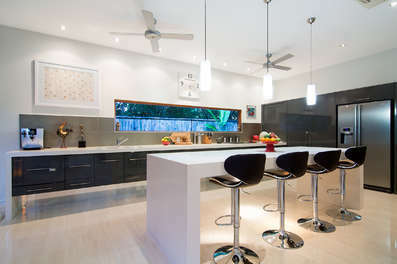 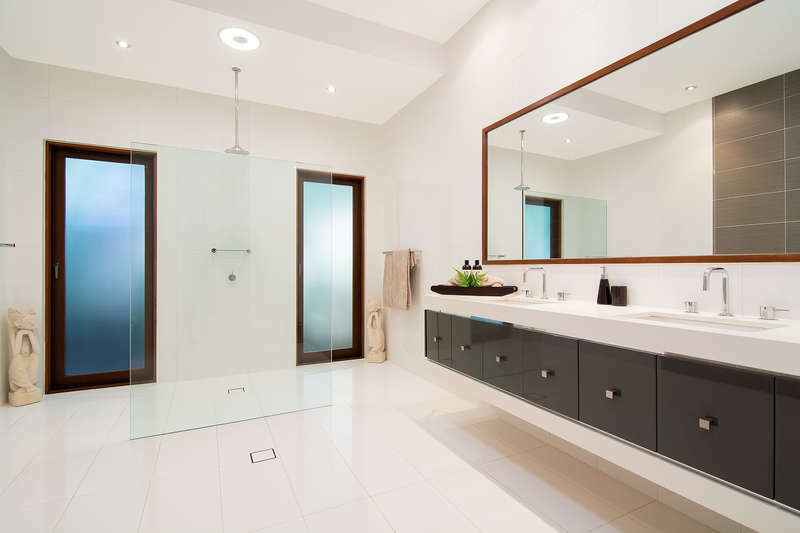 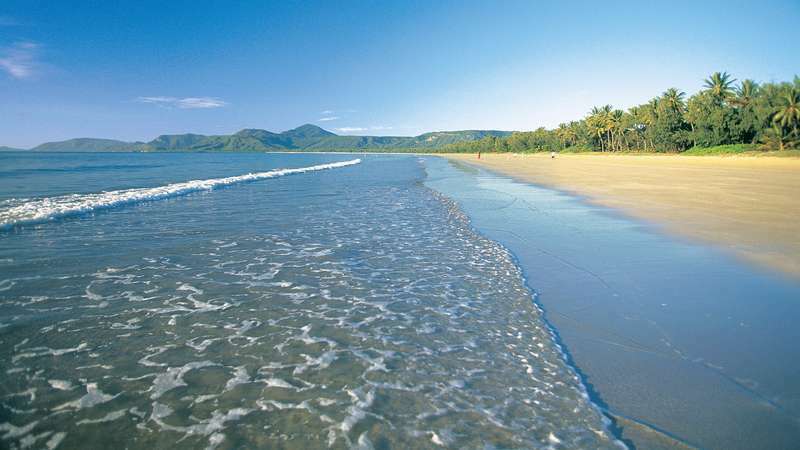 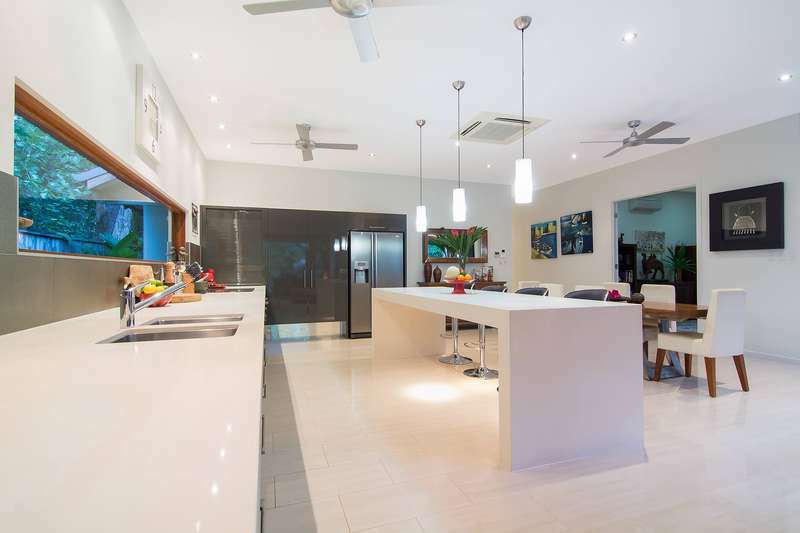 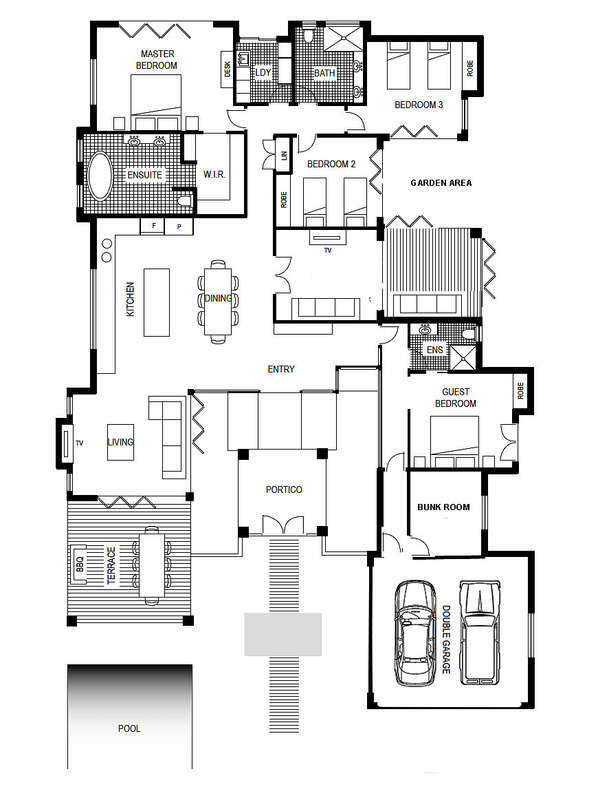 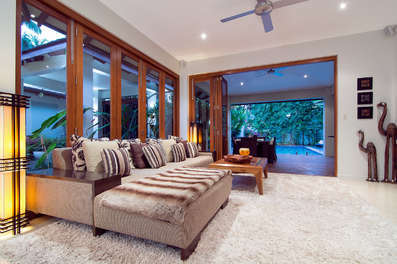 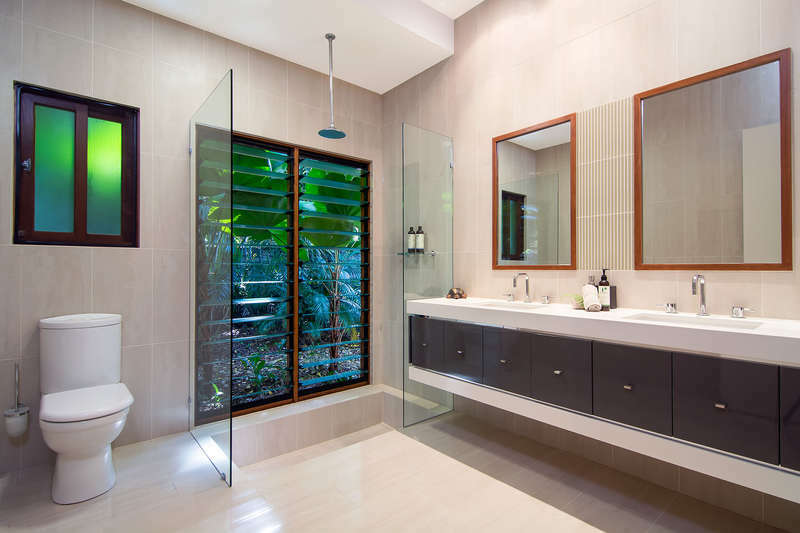 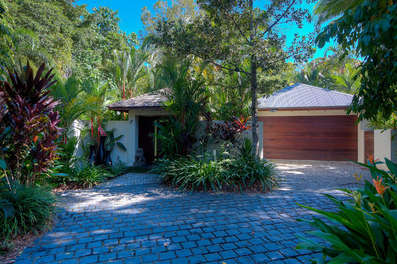 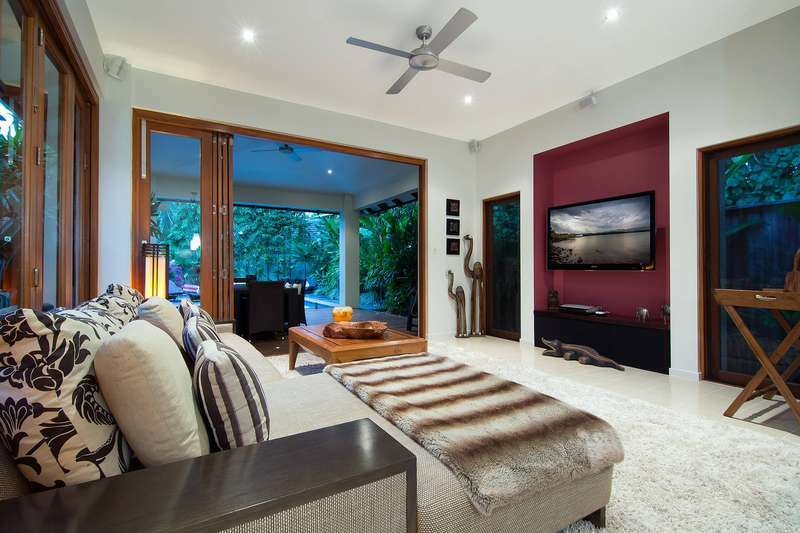 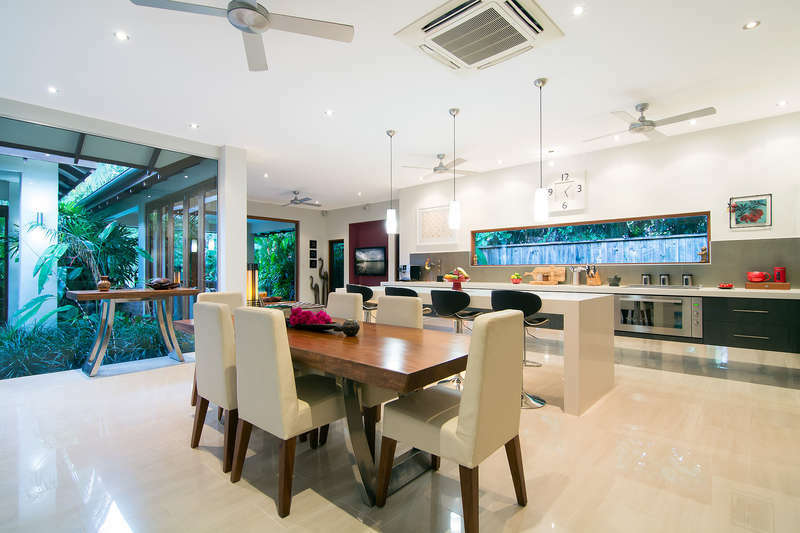 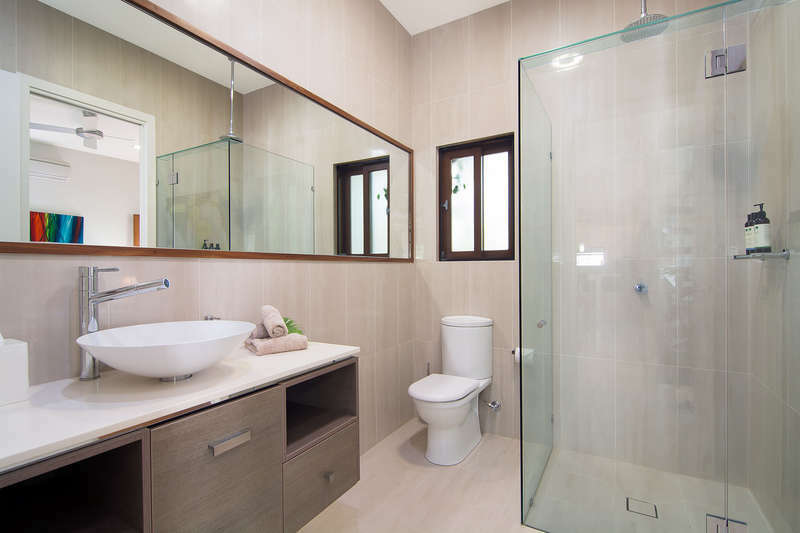 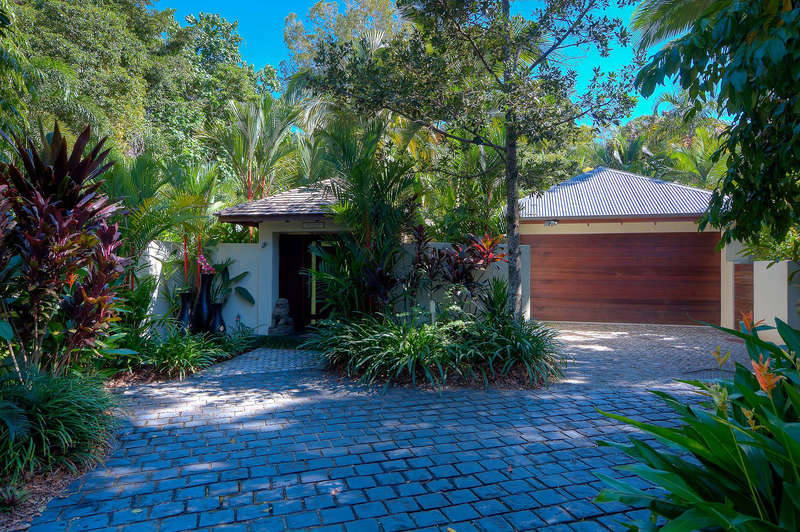 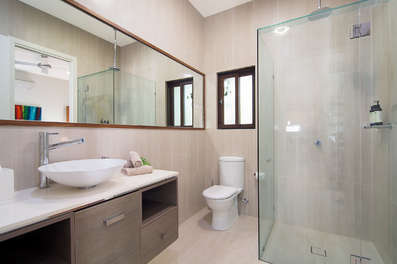 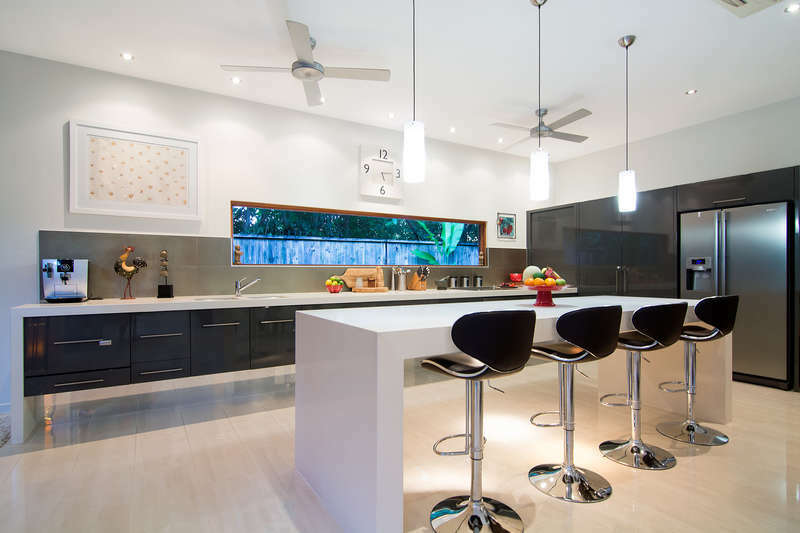 The Beachfront is located within the exclusive, gated Beachfront Estate within metres of 4 Mile Beach at Port Douglas. 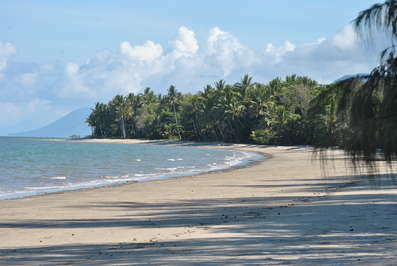 The Beachfront features a parkland and features beach access. 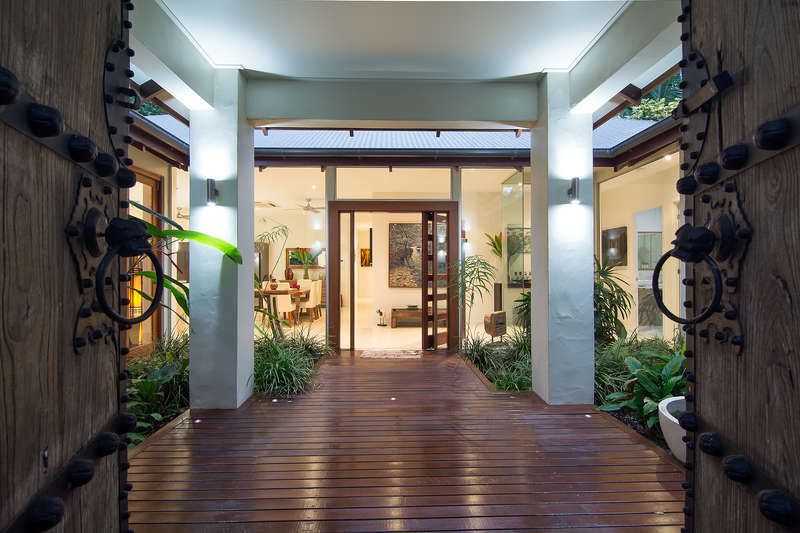 Macrossan Street is just a 7 minute drive from the Estate or a 20 minute beach walk or 15 minutes on push bikes. Double car parking - garage not accessible. 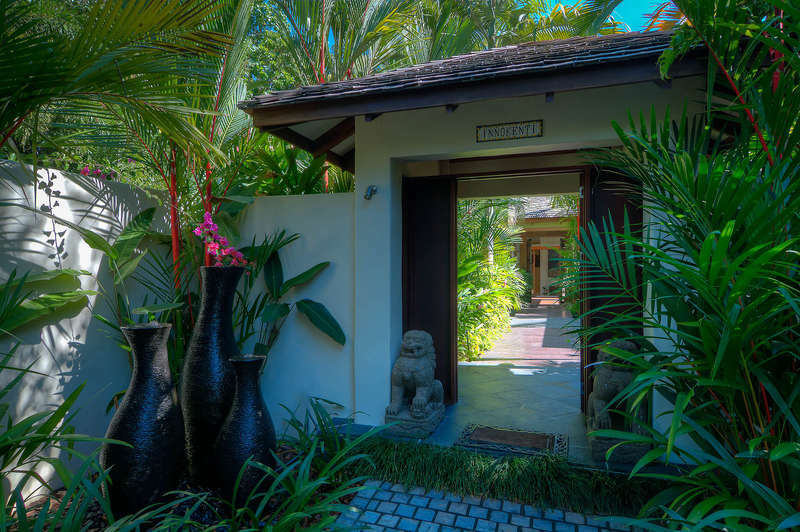 Chilled boutique wine, exotic fruit basket and tropical flowers await your arrival. L'Occitane amenities are provided for your enjoyment. 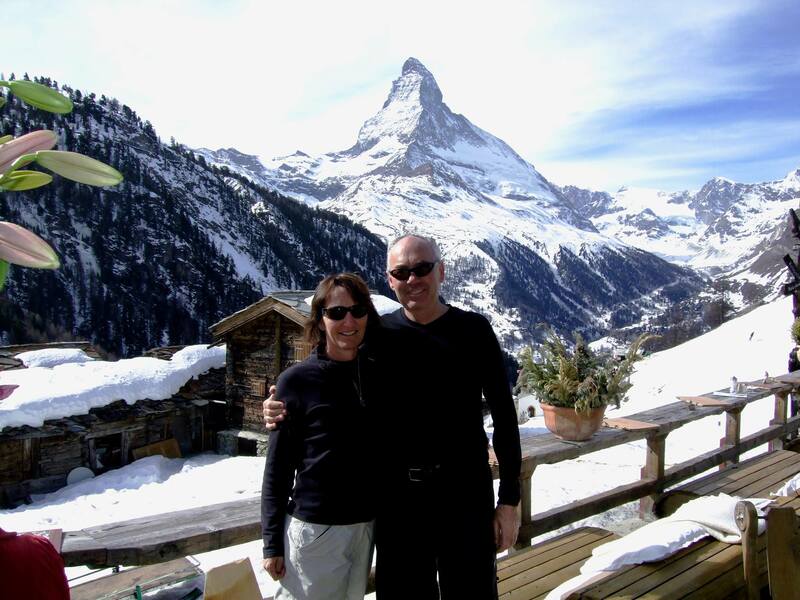 First class location and first class accomadation. I cannot recomend Innokenti highly enough and would be very happy to stay there again. 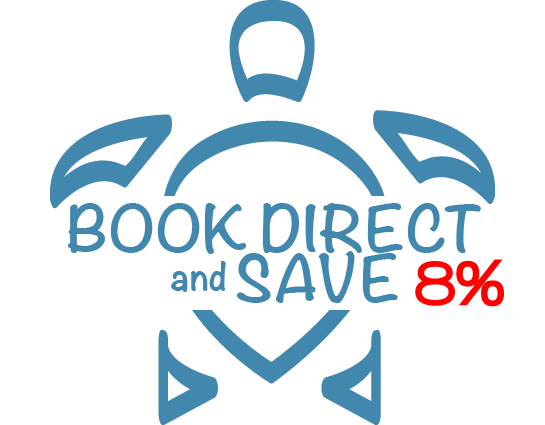 The booking process was simple and well descibed. 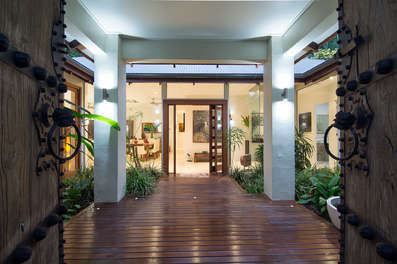 All expectations were met and exceeded! Just a great place to stay, minutes to 4 mile beach, the beach shack restaurant and bar across the road and 4 mile shops a 10 minutes walk, great pool and gardens and a kitchen full of everything any gourmet would require. 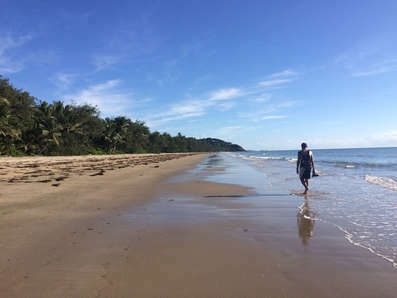 Will be back.